Choose from a selection of quality glass shades from Elstead Lighting. The Bell is a quality glass shade suitable for many chandeliers and wall lights. The glass has a good, solid feel to it, which is great when cleaning, as it reduces the chance of any chips, cracks and damages that can happen with thinner quality shades. 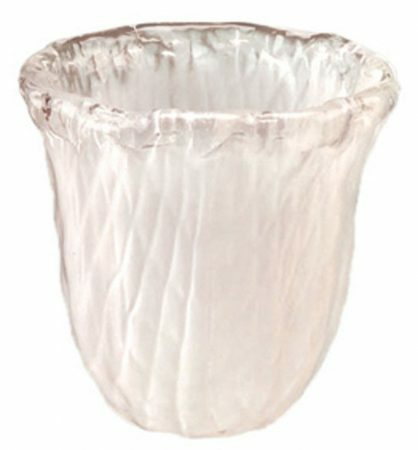 Opaque ridged glass with a transparent edging. It is always advisable to check whether this glass will fit your existing light, however it will definitely fit the Elstead Artisan suite.